My second order for Summer items, had to get some Sanctum PB in full size. It was that good! 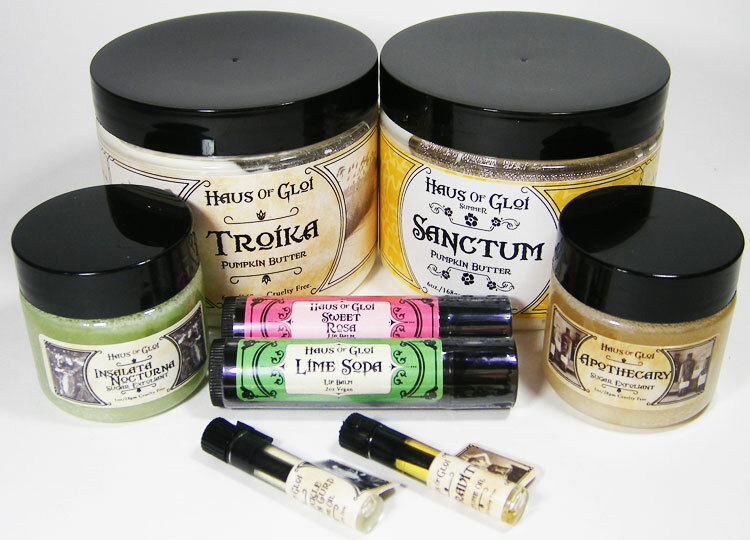 Sanctum - I get a crisp lime top note and the rest glorious almost candied smelling watermelon. This is a wonderful blend for summer! Insalata Nocturna - I really am surprised at this scent. I do not like greens or fresh scented things to wear but I really dig this scent. HoG has pleasantly surprised me once again. This is a really bright crisp scent, reminds me of something similar in brightness/tartness as a grapefruit. I barely smell the tomato leaf smell that I expected would be overpowering, but with this its like an afterthought and very subtle. Beautiful scent! Depravity (perfume oil) - In the vial, its pretty pungent and the clove is really strong, but I wore this for a day and was so pleasantly surprised with how it developed on my skin. Perhaps not a "go to" or "reach for" scent but I enjoyed wearing it and will use on occasion. Honeysuckle Lemon Curd free sample - I already have and love this one so, score! Love their lip balms, not greasy or messy. Just the right amount of soft/firmness and they stay put well. The Sweet Rosa lip balm is everything I had hoped for. I go to a little Greek restaurant where the owner makes Rose Cake on occasion, but she has been so busy she hasn't had it the last 3 or 4 weeks I've visited. Now I can get my fix til I can get more of her cake!